The brand new 2-foot Wall Series option is perfect for just about any place limited by height, including wet bars, vertical wall spaces, closets and pantries. 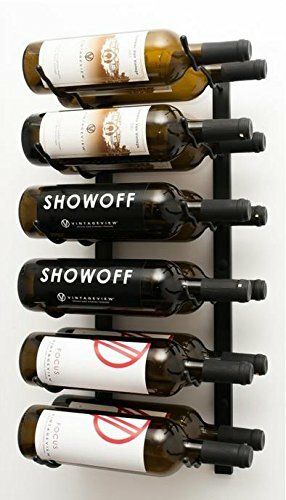 As with our entire Wall Series offerings, these new racks are stackable and may be cut, allowing multiple configurations for any wine room project. Constructed of high-quality steel with powder coated or plated finishes, our racks are durable, easy to install, and great for both residential and commercial applications. Dimensions: 24"(h) x 8"(w) x 8 1/2"(d). Holds 12 wine bottles. If you have any questions about this product by Vintage View, contact us by completing and submitting the form below. If you are looking for a specif part number, please include it with your message.